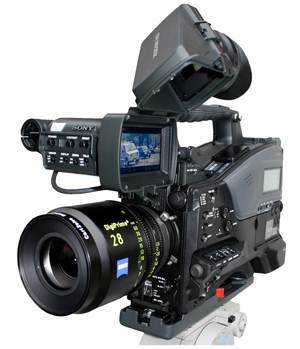 David used Carl Zeiss’ DigiPrimes on the PMW-350 as part of his test. Take this link to a real education by D.W. Leitner on Sony’s recently released PMW-350 camcorder. As is typical with one of David’s reviews, you not only get a unique, many-faceted take on the latest technology, but benefit from his many years in the business as he compares this camera to the original breakthrough of Sony’s first CCD camcorder, the PVM-200, in 1989. If you appreciate David’s intelligent, far-ranging tech musings like I do, you’ll also want to check out his latest column on Walter Murch’s presentation at January’s Sundance. Again, you’ll see how Leitner’s own knowledge and interest in the origins and meanings of cinematic arts matches Murch’s ontological musings. Not to be missed.